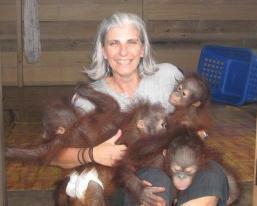 Orangutan Aid was founded by Mara McCaffery in Hong Kong, in an effort to raise awareness of the plight of the orangutan in the wild, and the wider implication this has for the world. Funds raised will be used in the continuing struggle to save orangutans in the wild from extinction, and caring for the hundreds whose habitat has already been destroyed. or please send us a comment using the format below. Orangutan Aid is registered as a Society in Hong Kong. Orangutan Aid - helping orphaned orangutans and rainforest conservation projects.